If you’ve got the coin and the space for a dream home, the conversation these days can start as outlandish as you’d like. Double-digit bedrooms. Drawbridges. Fields set aside for drone racing. 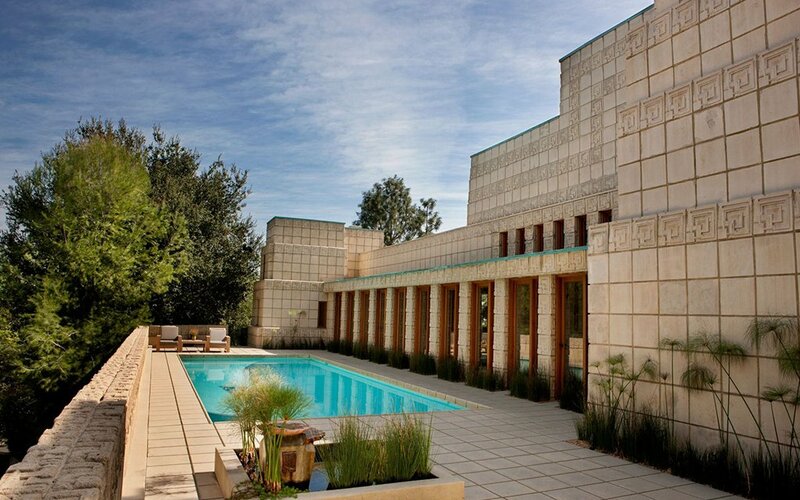 But where’s the drum of history, where’s the mystery, in a Mega McMansion? 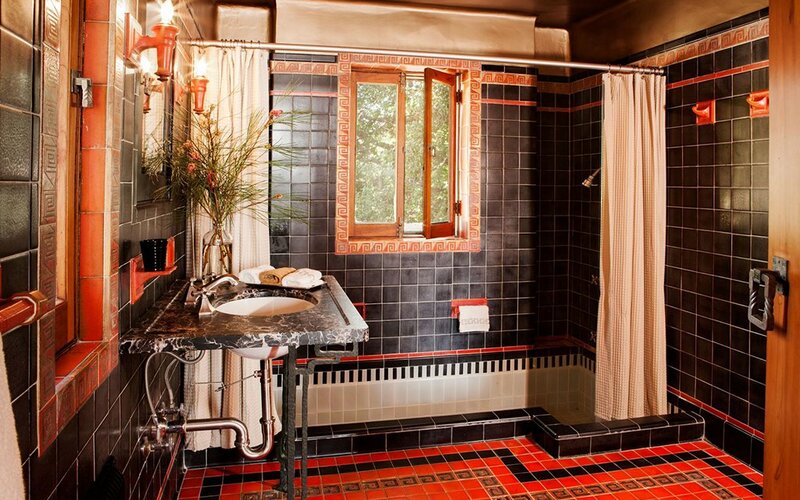 For our money: homes with stories you’ll never uncover are the ones that truly deserve your money. 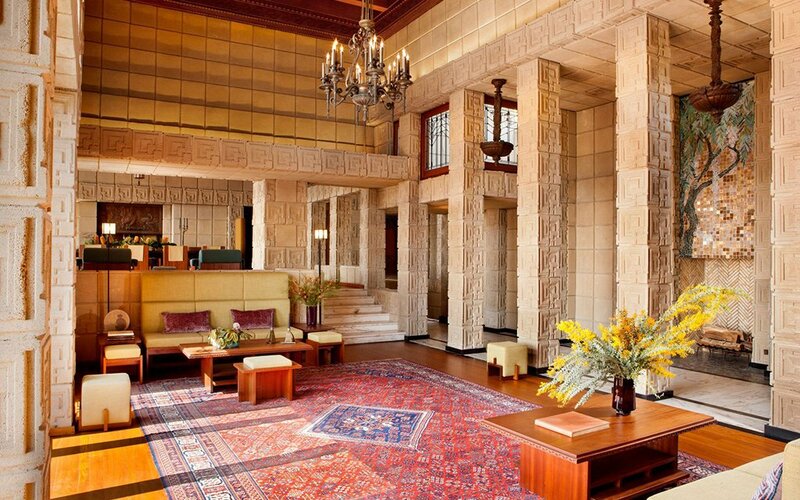 And few dwellings fit that description better than Frank Lloyd Wright’s iconic Ennis House, now on the market for (deep breath) $23 million. 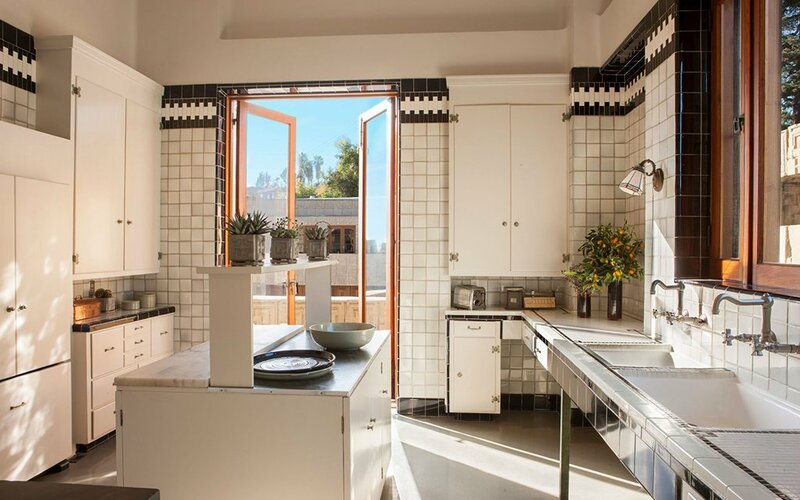 Perched in the Hollywood-abutting, Los Feliz neighborhood of Los Angeles, the “textile block” home mimics the perforated, sand-beaten blocks and grooves of ancient Mayan temples, but with an added Santa Monica flourish. 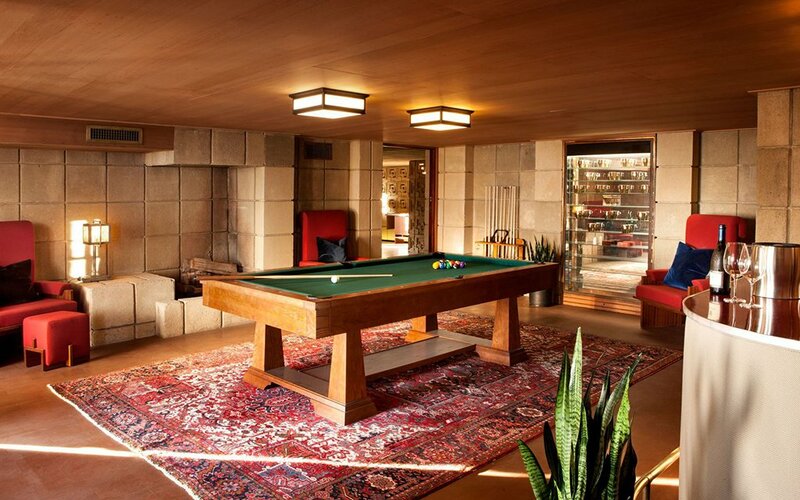 Though designed by Frank Lloyd Wright in 1923, the home was actually built by his son Lloyd Wright. 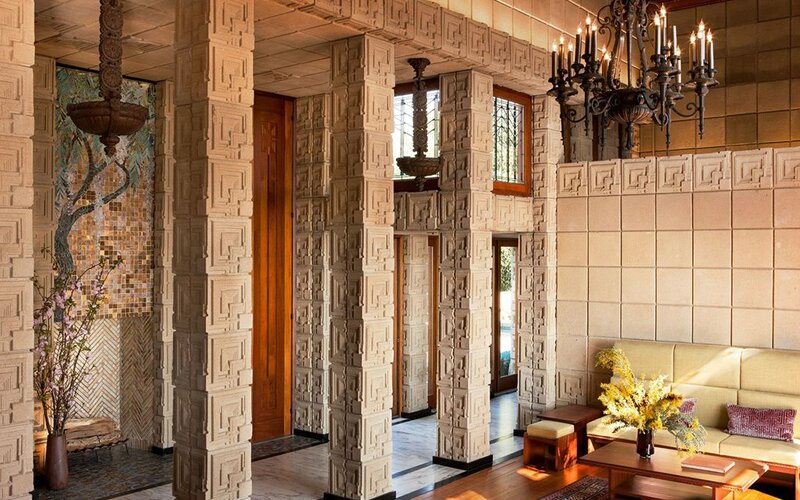 The draw here isn’t necessarily the amenities — though it was grogeously renovated in recent years to the tune of four bedrooms, three bathrooms, a screening room, guest house and pool, so you won’t exactly be hurting for luxury — it’s that you’re buying a national treasure. 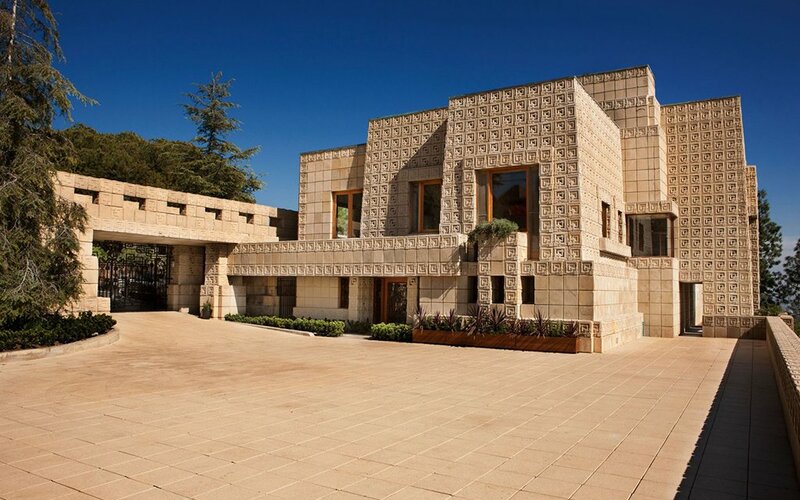 A good dozen films have shot at the Ennis House since 1933; the easy highlight is Blade Runner. 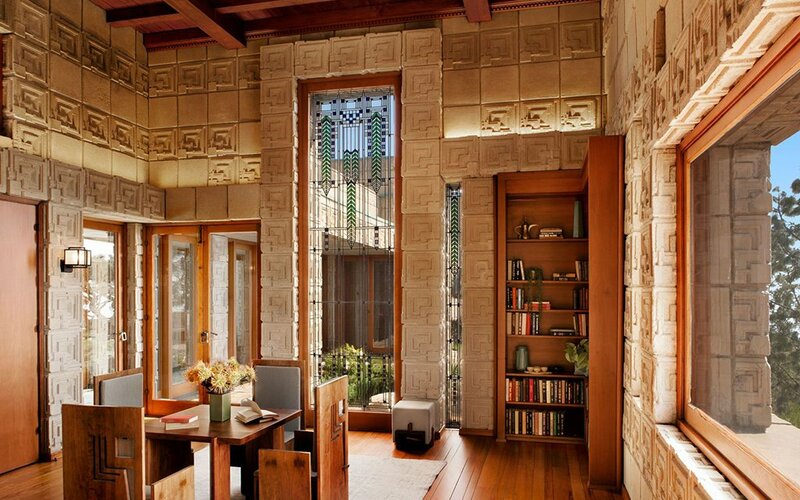 You may have recognized Ennis as the exterior of Rick Deckard’s (Harrison Ford) apartment. 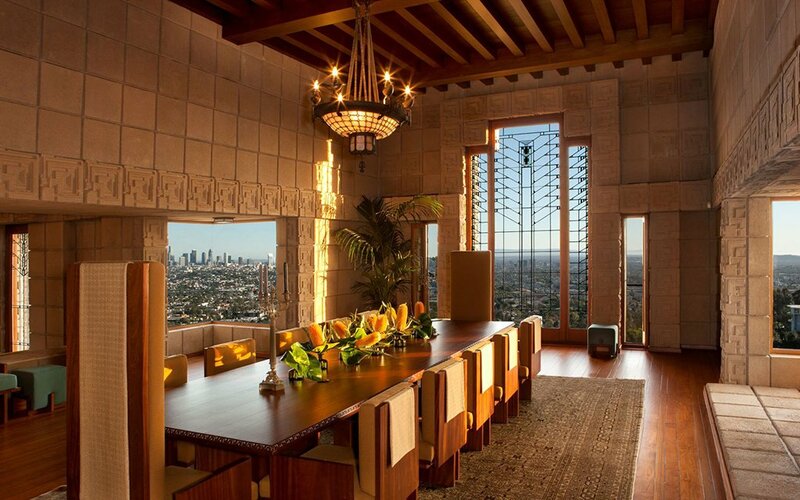 And just for good measure, the home’s on about every local and federal historically recognized list you could think of. Happy spending, fellow history dorks. Find more info on the listing here.